A lot of thanks for intense testing, hints and bugreports go to the participants of the Austrian Knoppix Days 2017 and the Linux User Group Hamburg Team, your feedback and bugfixes have been integrated into the public 8.1 release! Version 8.1 of KNOPPIX is based on the usual picks from Debian stable (stretch), testing (buster) and unstable (sid) for newer graphics drivers or desktop software packages. It uses Linux kernel 4.12.7 and Xorg 7.7 (core 1.19.3) for supporting current computer hardware. Kernel Patches: cloop, aufs, TCP Stealth. Both 32bit and 64bit kernel supporting both old and new computers, the 64bit version also supporting systems with more than 4GB of RAM and chroot to 64-bit installations for system rescue tasks. The bootloader will start the 64bit kernel automatically if a 64bit-capable CPU is detected (if not manually specified otherwise). For Computers that can only start from CD, not from DVD or USB flash pen, a tiny bootable CD image has been placed in the "KNOPPIX" folder, which can be burned and used together with the full USB or DVD version in order to start on old computers. 3 4MB Reiserfs Empty Linux file system which, in case of a writable medium, will automatically get expanded to maximal available size and is used as writable overlay. Invisible on DVD. 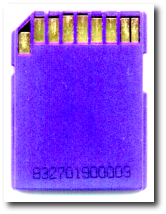 With the new Hybrid layout of the ISO file, the file can be copied directly to USB flash disk, either using standard Linux tools like dd or cp, or programs like Win32 DIsk Imager. In this case, the first partition is read-only because of the iso9660 file system. Because od that, boot options cannot be changed permanently. A better way of installing, is using --> flash-knoppix, which will create the simpler and writable layout with one FAT32 and one Linux partition on USB flash pen. Optionally, a personal remastering can be chosen in version 8.1. KNOPPIX 8.1 generally supports booting in UEFI and Secure Boot after installation on USB flash disk. But in order to use this feature, an entry in the UEFI firmware is necessary at first boot attempt. --> Find quick instructions here. Because of a controversal design decision of its developers, the popular Firefox web browser ceased to support direct audio playing under Linux starting from version 52. An error message displaying on pages like youtube, suggesting to install "pulseaudio" (which is already installed), is misleading and provides no solution. More about this at the Mozilla bugtracking pages at: https://bugzilla.mozilla.org/show_bug.cgi?id=1345661. Workaround: The Chromium web browser, like all other programs using sound in Knoppix excepting Firefox now, does not have this problem and is therefore now set as default browser in the LXDE desktop menu starting from Knoppix version 8.1. A.D.R.I.A.N.E. (Audio Desktop Reference Implementation And Networking Environment) is a talking menu system, which is supposed to make work and internet access easier for computer beginners, even if they have no sight contact to the computers monitor. A graphical environment with also talking programs and arbitrary magnification using compiz, is another option. In order to create a bootable USB-medium (memory flashdisk, SD-card, digital camera with USB connector, cellphone with microSD, ...), the program flash-knoppix can be started from a running KNOPPIX system. This program installs all needed KNOPPIX files onto the FAT-formatted flashdisk, and creates a boot record for it. If desired, the target medium can be partitioned and formatted, or left in its inistal state, so that existing files stay intact. The KNOPPIX Live System starts and runs about factor 5 faster from USB flash disk than from CD or DVD! After having copied the system to flash, using the persistent KNOPPIX image (overlay feature) or an additional Linux partition, it is possible to also store files permanently in live mode. That way, personal settings and additionally installed programs survive a reboot. Overview of the most important functions. A complete description and listing of shortcuts can be found in the configurations of sbl, orca and compiz. for automatically starting ADRIANE on boot. This is already default in all ADRIANE iso files. KNOPPIX 8.1 / ADRIANE 1.7 is available for download via Bittorrent and from the usual KNOPPIX mirror sites.